My adventures in Guild Wars 2 continue. I've logged in nearly every day for the past few weeks, if only for a few moments. I remain enamored of the art, and in my sessions I nearly always feel like I accomplished something. I tend to like play sessions about 60 to 90 minutes long, it seems, before I feel fit to wander away. And yet in those hours, I have killed many a beast, earned many a heart, and explored many, many map markers. Still, though, the game offers much I haven't seen—and some things, I'm happy to find absent. So two weeks in, here are some things I haven't experienced in Guild Wars 2, for good and bad both. 1.) I have not played in a formal group. 2.) I have not hit level 20 with any character. I do have a favorite: my human thief. She's just barely shy of 16 (my others are all in the single digits) and I'm now ready to move on to the 15-25 maps, having completely finished the Queensdale 1-17 area. Her story quests can be surprisingly difficult, though. I waited until the back half of level 14 to take on her level 11 story instance ("Voices From the Past") and it was a brutal mess that I had to take multiple stabs at. I want to level up in order to see more of the world, but for the time being I'm happy to completely fill out every map as I go and take it all at a slower, somewhat less deadly pace. I'm not sure what end-game could have to offer me that mid-game does not. 3.) I have not completed the 13 daily achievements, ever. I have come painfully close a number of times. But over the weekend, I finally realized that the "day" resets around 8:00 p.m. EDT. For someone like me, who does most of her playing between 7:00 and 10:00 in the evening, that means the day's accomplishments completely reset in the middle of the average play session. I know any hour would be inconvenient somewhere on earth but man that stinks for us US east coast players. In a game that so starkly quantifies every action the player takes—and issues rewards based on those counts—it feels unfair that I should be unable to make progress because the game's schedule doesn't recognize when my days are. 4.) I have not reported anyone for an offensive name or problem speech. It's not that I wouldn't, if I had to; I'm not terribly shy about throwing up flags for the really gross stuff that ruins communities. It's that I haven't had to. Local area chat, on my server, is startlingly well-behaved. The only things I've ever seen in /say are strategies for an event, pleas for a rez, or thanks for a timely revive. It's the most polite multiplayer game I've played in a very long time. 5.) I have not yet tried crafting or using the trading post. It's a little overwhelming, to be honest. After asking some NPCs about what I could learn to make, I settled on making my thief into a leatherworker. I figured, it never hurts to be able to make your own armor upgrades. But learning what needs to be broken down into what parts, or what I need to do to learn to craft useful things from the recipes I seem to magically have, is more complicated. On the one hand I want to take up crafting for both self-sufficiency and for spare income, but on the other hand the game makes it really easy to be lazy, ignore those systems, and just pop around through Asura gates and get credit for vista views and points of interest, instead. Still, I'm beginning to reach the point of my adventures where freewheeling along is simply no longer going to work. The enemies are getting tougher, the world more wild. Guild Wars 2 spends surprisingly little time holding your hand at all, but even those shy first steps already lie long behind me. Clearly, the time has come to take more initiative. And if that initiative should take the form of learning to sew... well, sometimes, that's just what MMOs are for. Kotaku's MMO reviews are a multi-part process. Rather than deliver day one reviews based on beta gameplay, we play the game for four weeks before issuing our final verdict. Once a week, we deliver a log detailing when and how we played the game. We believe this gives readers a frame of reference for the final review. 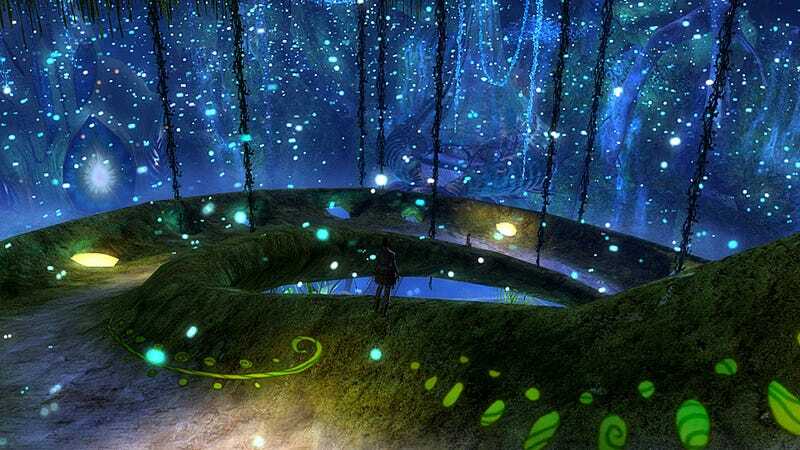 Since MMO titles support many different types of play, readers can compare our experiences to theirs to determine what the review means to them. Log one is here.